Watchdog says current rules not adequate, as impact of salmon farming may not be contained to the vicinity of individual farms. ENVIRONMENTAL protection agency SEPA is launching a seven week consultation into tightening the regulations governing salmon farming in Scotland. Publishing the results of a report into the environmental impact of aquaculture, the watchdog said on Wednesday it had found salmon farm medicines to be “significantly impacting local marine environments” and existing regulatory approaches to “not adequately protect[ing] marine life”. Research has found that residues of sea lice treatment were still detected in the marine environment five years after they had been last used. 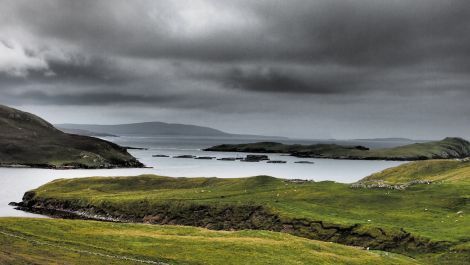 The measures are seen as the foundation on which to further grow the salmon farming industry, which currently is worth around £1 billion to Scotland, and £215 million to the Shetland economy. New approach could allow for larger farms than traditionally approved, provided they are appropriately sited in sustainable locations. The proposals could see fewer salmon farms in shallower, slow flowing waters. It is also anticipated that the industry will have to adopt technologies to partially or fully capture organic waste and medicine residues from salmon pens. 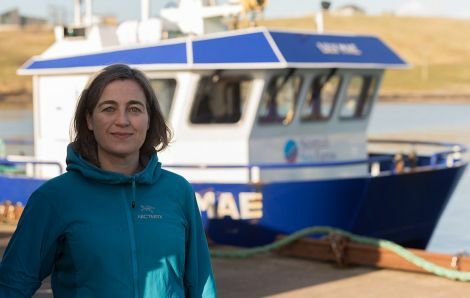 Chief executive of the Scottish Salmon Producers Organisation (SSPO), Julie Hesketh-Laird, said the report was the culmination of years of collaborative work between the industry and SEPA to develop a new framework for the gradual and careful expansion of the Scottish salmon sector. “We share SEPA’s vision of an innovative, sustainable salmon industry underpinned by clear and accurate regulation. “This report will remove many of the barriers preventing the development of more modern facilities further from the shore and we look forward to SEPA’s support as the industry makes this change. Last year, the compliance rate with SEPA regulations among Scottish salmon farms was just 81 per cent. SEPA chief executive Terry A’Hearn said: “We agree that ‘the status quo is not an option’ which is why we’re announcing firm, evidence based proposals for a revised regime that will strengthen the regulation of the sector. The consultation process will run until 24 December. Details can be found here. As part of the consultation process SEPA is hosting nine consultation events in the west of Scotland as well as the Northern Isles. They will be in the Shetland Museum and Archives, in Lerwick, on 28 November between 3pm and 7.30 pm.